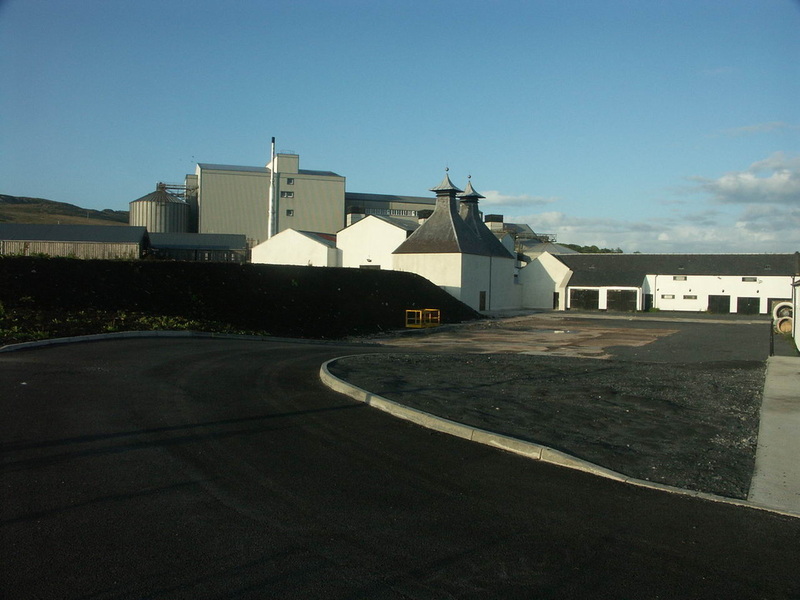 In October 2017, Diageo announced plans to re-open Port Ellen (& Brora) in 2020. 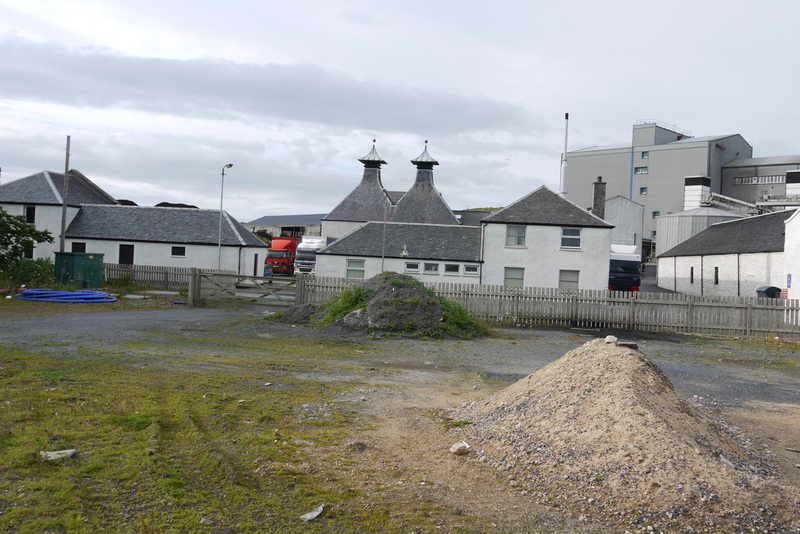 You can walk, cycle or drive through the site of Port Ellen Distillery on the road to the Oa, between the warehouses and what reains of the other buildings - principally the pagoda topped kilns. Established by AK Mackay in 1825, by 1836 it was in the hands of John Ramsay, a relative of Mackay. Port Ellen was the first distillery to export single malt whisky to North America, it was also the first to install a spirit safe. 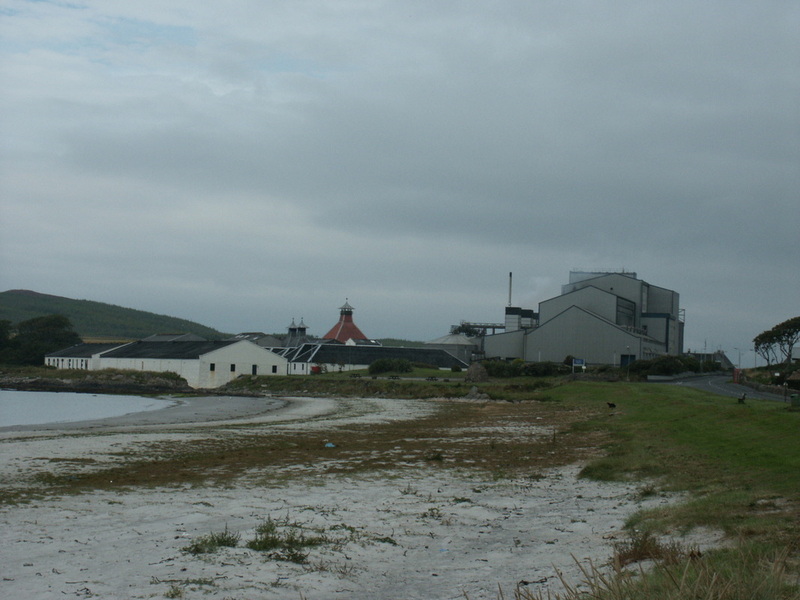 Ramsay also helped Robert Stein and Andreas Coffey develop their continuous stills - at Port Ellen. 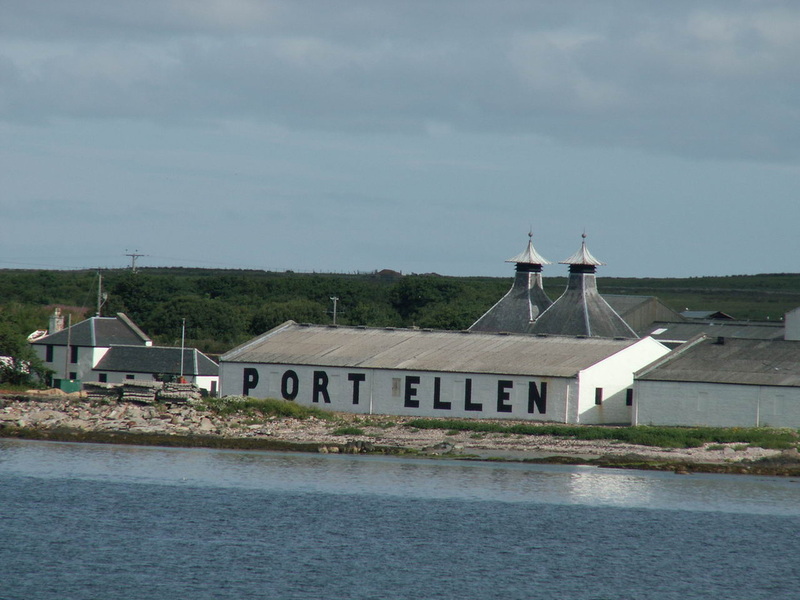 Despite all these pioneering efforts, and it's reputation today, Port Ellen Distillery was first closed in 1929 as a result of the slump in world production of whisky associated with American prohibition. It had remained in the Ramsay family until 1920 when it was acquire by John Dewar & Sons, who subsequently became part of the Distillers Company Limited - a predecessor of Diageo. By 1967 when production restarted the demand for whisky had increased to such a state that an additional two stills were built. But the next slump proved too much for Port Ellen, and it closed again this time for good in 1983. 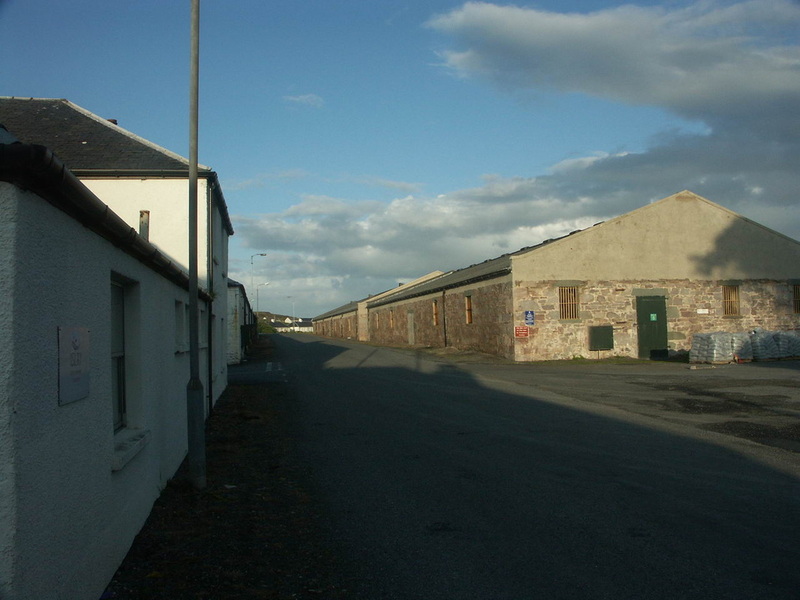 The bold PORT ELLEN legend on the warehouses, and the maltings built next to the distillery in 1973 still dominate Kilnaughton Bay. 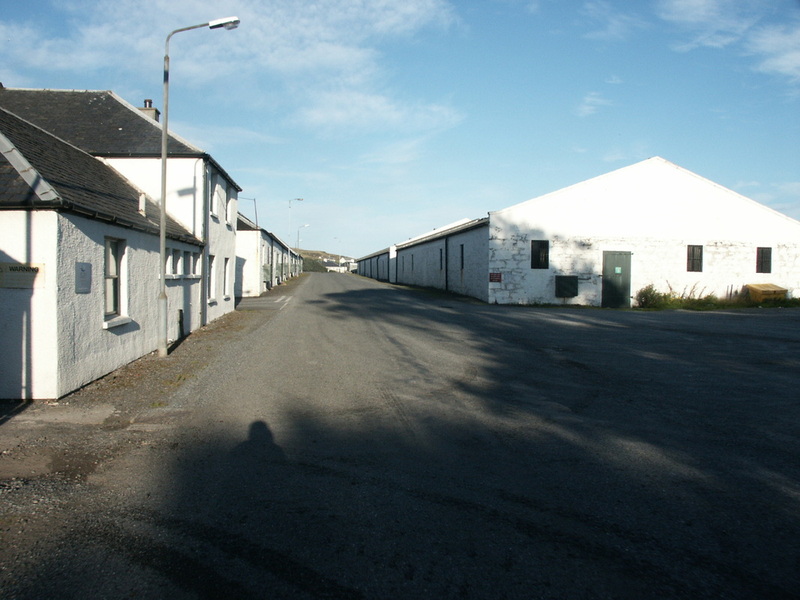 Port Ellen Distillery is about a half a mile north of Port Ellen. 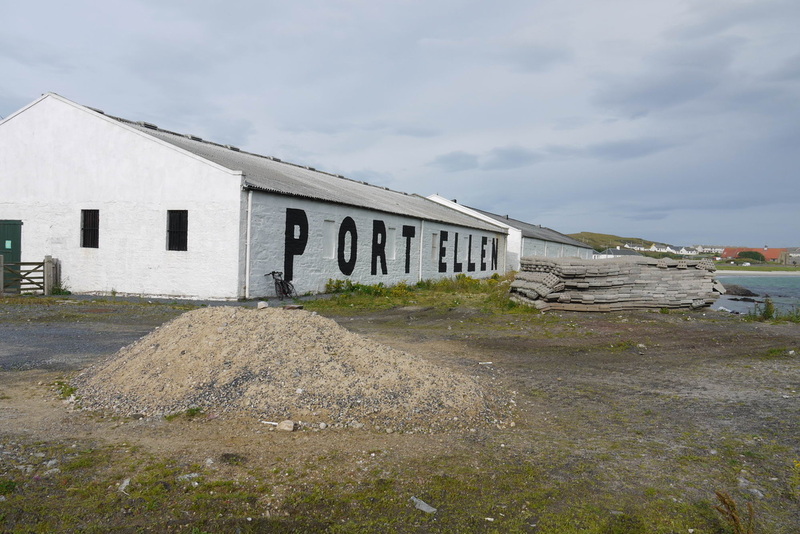 Being a closed distillery, Port Ellen whisky is rare, expensive and highly sought after. There are still quite a few bottlings available however, from both Diageo (the last owners) and several independent labels. (The Whisky Exchange website lists nearly 50 bottlings - from £750). Dormant Distilleries bottling of Port Ellen - expect to pay more than £95 for a Port Ellen these days! Photos on this page were taken by me. Click on photo to enlarge. 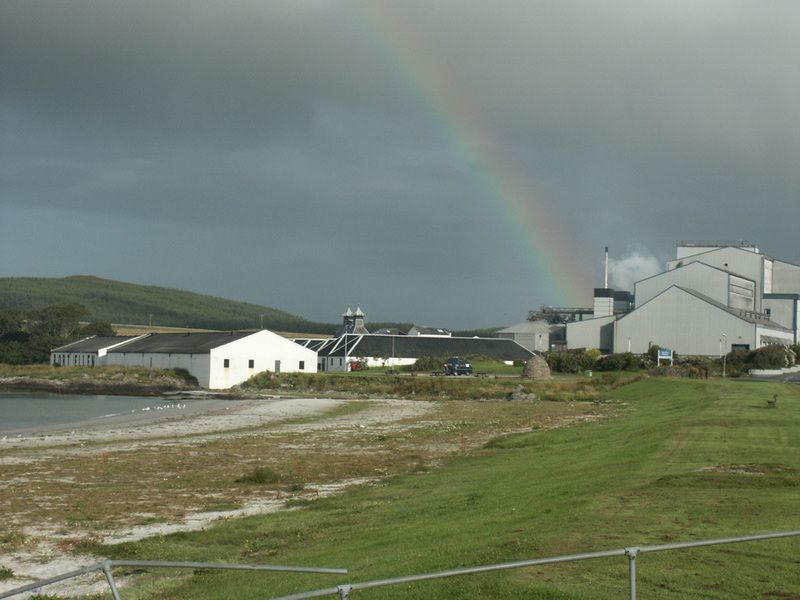 Full size versions of all my photos of Port Ellen Distillery are available on Flickr.